Looking back on the events of last week, I found a bit of a theme going on. That of making art for the sake of making it. No promise of profit or even success, simply creating, learning, and striving for the intrinsic reward alone. It’s a recommendation I hear a lot from founder and owner of WORK Labs, Cabell Harris, to the many budding young designers and writers drawn to his office looking for that golden nugget of advice as they venture out of school and into the working world. “Be your own client”, “create for the sake of creating”, “write about your own experiences using your own voice”. The advice doesn’t change. Heck, even his tagline is, “Always Thinking”. And he is alway thinking...ALWAYS. He’s redesigned multiple storefronts before ever even meeting the owners to see if they were even interested in re-branding. He can’t escape the need to create. If you truly feel you live and breathe your art, then live and breathe it. Why is your portfolio only filled with assigned projects or internship work? It should show in every aspect of your life in some way. Last week this message reinforced itself by way of Aaron Draplin of Draplin Design Co. Aaron has a bit of a cult following, which has allowed his book Pretty Much Everything to go from the estimated 4000 copies his publishers expected to sell (which happened in one day) to 54,0000 including prints done in foreign languages. We had the good fortune of seeing Aaron talk at ICA last week, and he pointed to a large image of some of the countless logos he has created, noting that around 90% were done for friends or for fun. He claimed one logo up there went for about $30,000, while another was done in exchange for a burrito. Ruminate on this for a minute. A man that is on tour for a book whose sales far surpassed anything his publisher ever imagined, a man who has designed logos for the Obama administration and NASA pointed to an array of logos and said most were done for fun. FUN. He lives and breathes design. And while he needs to pay his bills, certainly, that is not the impetus for sitting down and opening up Illustrator on his computer. The next lesson in the same vain came from Tim Clarke, sculptor, and designer for The Dark Crystal, Sesame Street, Muppet Show, and Fraggle Rock. In a Q&A session after a viewing of The Dark Crystal, Tim talked about how he got involved in the shows that hands down, shaped the lives of multiple generations. What struck me was how accidental it was. Studying at Pratt with plans to get an Art Education degree, Tim tried every year to take one very specific class, Puppeteering. It had nothing to do with his major, it was not even in his department. But even as a child, Tim had an interest in puppets, and in his last semester of school, he was able to get into the class. This longtime and active interest gave Tim the tools to standout to his professor, including being able to sew his puppets himself, and his brilliant execution in controlling his puppets’ mobility not just by opening and closing his hand (as all the other students had done) but by creating movement with his fingers, arms, and head. 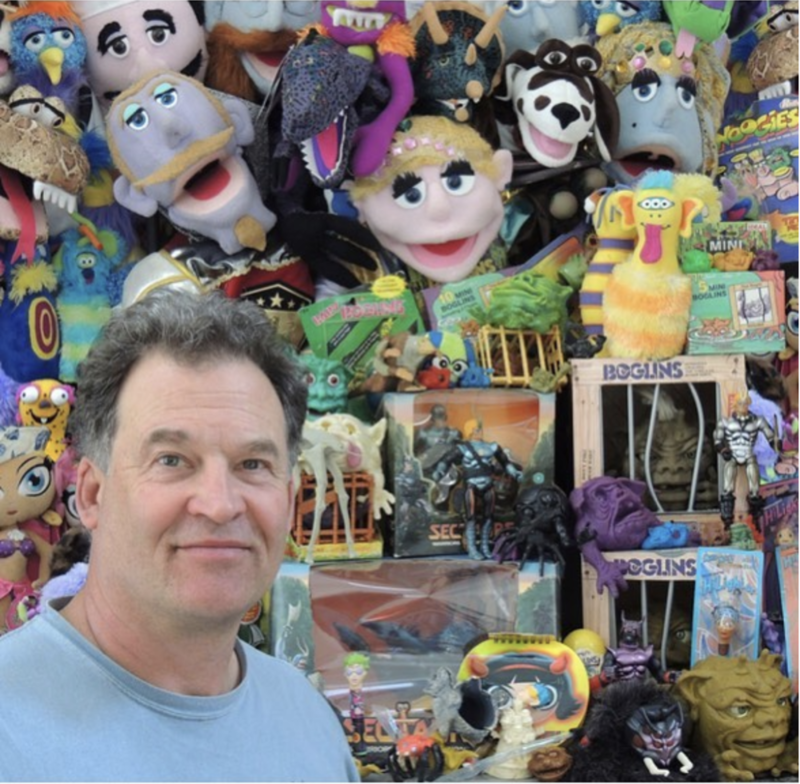 What’s remarkable is that while this one class, this one professor, got him his introduction to The Jim Henson Company, it was his love for puppetry and his consistent participation in it that helped him stand out. A love that he nurtured as a child, and did for his own pleasure rather than for a paycheck. It leads me to, admittedly, someone I have a rather biased opinion of, my nephew. 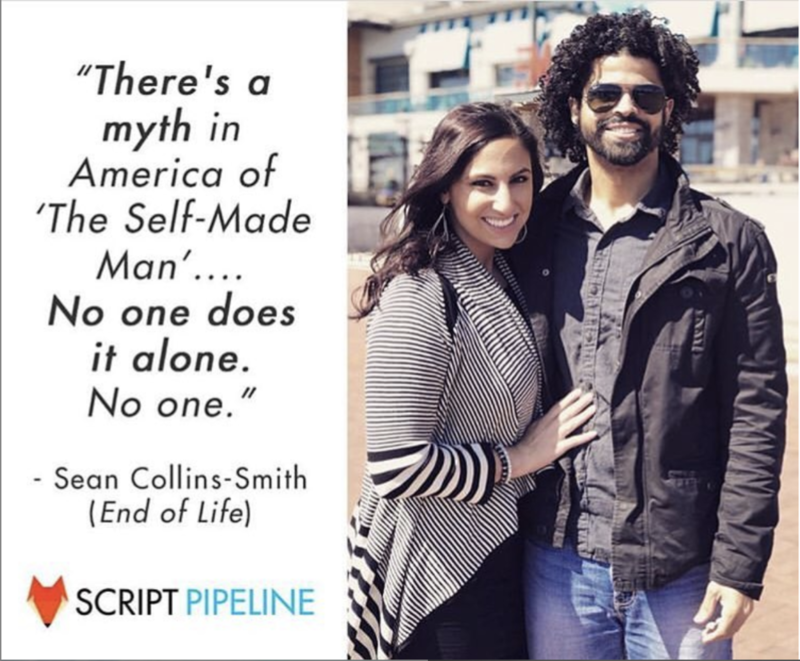 Working as a local crime reporter and then a VCU professor, my nephew, quietly gave into his craving for storytelling and began writing screenplays. He later, just as quietly, entered numerous competitions in the hopes of some feedback and direction. He had a full-time job doing something he loved, he lived in his hometown near family and friends and was even looking for a home to buy. But writing was something he couldn’t let go of. He didn’t do it for clients, or for his family or to better his career as a professor but instead answered an internal calling, chipping away at ideas in his mind, complex and intriguing characters abound with tantalizing stories that just wouldn’t rest. Now, after having won some of those contests, he has made contacts, gained an agent, and has packed up for LA. Now let’s be clear here, none of these individuals are in the fortunate position they are in simply out of love for their work. There’s a fair amount of luck involved in each of their stories but luck only puts you in the right place at the right time, it’s that continued passion transferred into hard work that gets you noticed and keeps your work relevant and rewarded. My nephew retaining an agent does not now mean he can sit on his laurels and wait for the opportunities to roll in. He will now have to work harder than ever to continue on this successful path. All of them do. And they do it willingly, for the sake of creating, not just “success”. These talented individuals never stopped working, learning, trying, and changing. They didn’t put in their 40 hours a week and then walk away from it. They lived and breathed their art, even when they expected nothing in return but their own enjoyment. Hard work, passion, and even luck can breed success. Just don’t turn that passion off when 5:00 rolls around.